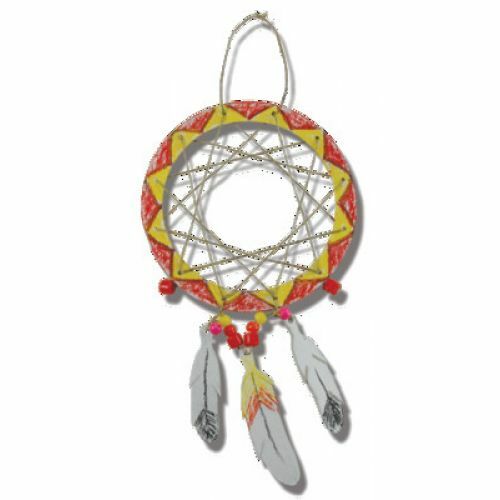 String this Native American craft together to ensure good dreams! Decorate the thick cardboard hoops with markers, paint or crayons before threading the string through the pre-punched holes. Use our stringing suggestions or ask students to invent their own patterns. Don't forget to decorate the included feathers. 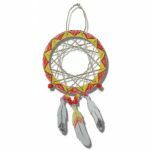 Try adding beads to your dream catcher for a bright, dynamic look. 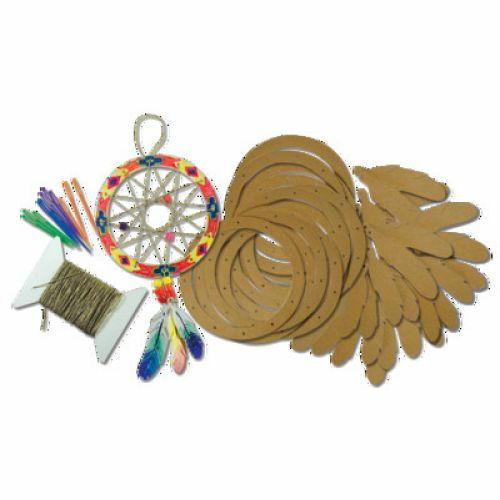 Includes 12 dream catchers 5-1⁄4" x 5-1⁄4", 97-1⁄2' twine, 12 plastic needles, beads and guide.